This tour begins at 7am. The Battlefields of Normandy tour is available from March to November. We are comparing Normandy D-Day Landing Beaches Full-Day Tour from Paris Prices from leading ticket suppliers and Try to find you Cheap tickets prices on the market. This historic tour of Normandy takes you back to the Second World War, underlining the significance of the combined allied invasion. Along the way, you will hear stories elaborating events that significantly contributed to the downfall of Nazi Germany in the year to follow. Find out how the Allied forces penetrated the defensive perimeter of Hitler's European Fortress and started to liberate Western Europe from the iron grip of the Germans. Also, pay a visit to the themed museum on Utah Beach, one of the four designated landing points, in an original German bunker. Visit Omaha Beach, the scene of the biggest resistance of the Germans during the initial phase of the Allied landing. Furthermore, visit the cemetery where many fallen Allied soldiers rest and have a Norman-style lunch. 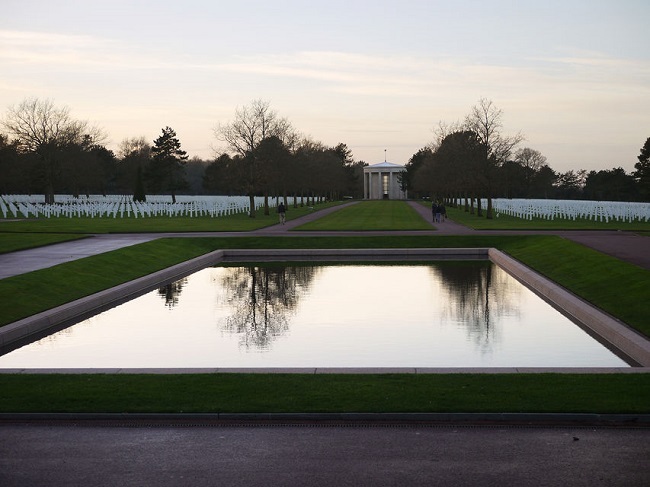 The tour of the Normandie battlefields provides a great overview of some of the most dramatic events in Europe, hence, this tour is ideal for people interested in history and warfare. Your Experience With Normandy D-Day Landing Beaches Full-Day Tour from Paris? On this historic excursion, you will tour places where most important events were happening on European soil in the course of the Second World War. The invasion of Normandy was one of the defining events and a turning point of the biggest conflict in world history. Hence, you will comprehend the full scale of such a fateful event by joining this guided tour from Paris. Visit Utah Beach and the museum housed inside the former German bunker. Also, pay a visit to Omaha Beach, where the Germans offered the fiercest resistance to the invading forces of the U.S.A. and the United Kingdom. Pay your respects to the fallen allied soldiers at the Coleville-sur-Mer cemetery. Enjoy a freshly prepared lunch using locally sourced seasonal ingredients. What Normandy D-Day Landing Beaches Full-Day Tour from Paris Includes? A Full-Day Tour from Paris. All entrance fees for the sites scheduled in the tour. A Norman-style lunch prepared from seasonal ingredients. Headsets for hearing your guide more clearly. The allies had the toughest time during the landing on Omaha Beach. The tour covers landing points and a cemetery of the allied soldiers among other places. Travelers Reviews about Normandy D-Day Landing Beaches Full-Day Tour from Paris? Tourists gave this guided tour commendable rates on Get Your Guide and Viator (4.5 out of 5), and 4 on TripAdvisor. Most of them state that the tour met their expectations. Some of them advised certain improvements, but, overall, the tour is worth the cost. Due to the lack of adequate accommodation, this tour isn't suitable for people with reduced mobility. You can present a printed or electronic voucher to take part in the guided tour. Both providers grant a full refund for timely cancellations in case that something comes up and you are unable to join the guided tour. Please arrive at the departure point before the beginning of the tour. If you come late, you will be able to refund or exchange your tickets. Since beaches are open to the sea, it tends to become windy and hot there, so prepare in accordance to the conditions. If you are a vegetarian or have some specific dietary needs, please advise when booking the excursion. The coach ride lasts approximately 4 hours in one direction, equalling around 8 hours for the entire day. Depending on the selected provider, the tour starts either at Pyramides (Viator) or the Palais de Chaillot at Trocadero (Get Your Guide).